Successful Grand Opening at Grandview Yard! It’s nearly a month later and I’m still praising God for our Grand Opening service on Sunday, Nov. 9th! We Grand Opened at our new location in Grandview Yard at the Hyatt Place Hotel. I was so encouraged by that day! We had a great turnout! 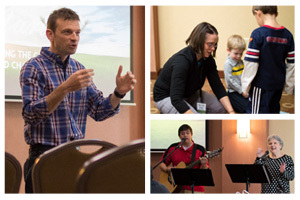 Nate Dixon and Cheri Myers led in worship, and Julie Miller talked about the importance of ministering to children through our Children’s Ministry – Cap City Kids. Associate Pastor Larry Totzke shared ways to connect and serve in the church, and Sylvia Totzke talked about our involvement in Global Outreach. I started a new sermon series called “Fresh Start: Experiencing the God of Second Chances.” The message was from Luke 15:11-32 on how the God of grace shows undeserved kindness and transforms the prodigals and the self-righteous people of this world. As all are welcome to worship with us we at Cap City Grace want to be an agent of God’s grace, so people are transformed by the grace of God found in Jesus. We had a great response from the people after the service and it was wonderful to have lunch together with many of those who attended. Thanks to all of you who made the day a success! View photos from the day on our Facebook page. Spread the word that we are now open at Grandview Yard. 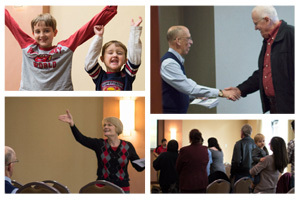 All are welcome, Sundays at 11am, at Hyatt Place Hotel, Grandview Yard. https://capitalcitygrace.org/wp-content/uploads/Grand-Open-1.jpg 200 300 Eric Miller http://capitalcitygrace.org/wp-content/uploads/capital-city-grace-church-columbus-ohio_02.png Eric Miller2014-12-04 10:01:392014-12-04 10:05:26Successful Grand Opening at Grandview Yard!